9 teams have a longer active postseason drought than the Cardinals, and most of them have been tanking. Does this mean the Cardinals are at the bottom of those who aren't tanking?!? Well, we would be tied with the Royals and Pirates. I've pounded the drum too hard on this, but the Cardinals have made good moves, they just seem too content to stop once they do... and this isn't a system that rewards mid to upper 80s teams at all. If you want my official take, that's about as best as I can summarize it: happy with what they did, frustrated and upset they didn't do more. It's not that I don't love getting Paul Goldschmidt because I do, but getting him and pretty much stopping there isn't good IMO. The Diamondbacks had Paul Goldschmidt last year, and their fans don't seem to be too happy with their 2018. They haven't adapted to the era of tanking teams very well. They're good at winning mid 80s games but mid 80s teams are rewarded less than ever now on several fronts. They make good moves but don't make nearly enough of them. As a result, they have good win totals but little to nothing to show for it. Marlins are tanking: Mo steals Ozuna. D-Backs are tanking: Mo steals Goldy. Guess we forgot about 3 bad years of Peralta out of 4? Yes, let's keep signing aging relievers instead of growing our own bullpen like other successful teams. Surely it'll work one of these days! Besides Mikolas and Oh (to a degree), and maybe I'll give you Lackey, though Kelly made that one a wash too, what argument do you have that Mo is any good? Give me something that gives me faith in him. Not sure why you keep mis-representing me. The context of my posts is centered around Mo's ability to acquire elite talent in the "tanking era", and pointing out that not moving Lynn nor Norris is hardly something to worry about. I have not discussed Mo's overall roster construction. But yeah, bad job by Mo missing out on Heyward. I am sure Theo emails him every day to brag about the signing. Good point. Peralta's contract was actually relatively good as well as the production he gave the Cardinals for the majority of the duration. He had an injury the third year into it and played like [expletive] in the last season. First two seasons were great. I don't think Mo's a bad GM-I think DeWitt ties Mo's hands behind his back more than we think he does. We can keep giving ownership attaboys for all they tried the last few years, but bottom line, they haven't made the playoffs for the last three years. They added two big pieces, and maybe great things lay in store, but they have the funds and opportunity to really build something special, but seemingly refuse to do so. Sometimes I think we have more DeWitt fans than we do Cardinal fans. You do not own a baseball team to make money while owning it. You make your money from owning a baseball team when you sell it. Fans defending billionaires not spending their money to make the team more competitive never ceases to amaze me. Stop defending billionaires and their refusal to spend money because they want to make more of it. Please. Good lord. I don't know how some of you survived the 90s with them having a losing record FIVE of the 10 seasons. Compare that to THREE seasons under .500 since the current ownership took over to go along with 2 Championships, to other WS appearances and playoff appearances more often than not. 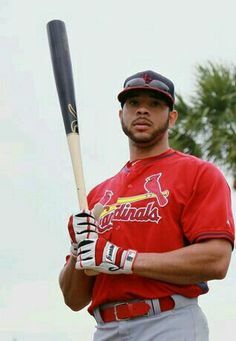 If missing out on the playoffs by a game or two for three or four seasons in a row is what it takes before the Cards get back on a run, I'll take that over tanking every single year. 2017 was the first season since 2010 that the Cardinals played a meaningless game to end the season. They played 7 seasons in a row where if they won their final game, they would keep going (couldn't go any farther in 2011 of course). How about the run from 2000 to 2010 with some of those great teams? I'm not saying a .500 season is all that should be asked of the team but there are a few people on here that sound like spoiled f'ing brats. I think I'm done with this thread, the Harper one and a couple of others. If your response to adding Goldschmidt and Miller is it’s an unacceptable offseason, you’re bound to be perpetually disappointed. The "spoiled brat fan" comment is disingenuous. The team builds .550 teams because they found a way to do it cheaply and keep fan interest high enough to keep revenue profits rising. Some fans would rather sacrifice wins for the sake of longer super-team streaks. Because .550 and rolling the dice on division rivals to lose a player to injury or we get random variance like a Carpenter power surge is a boring model. And fan interest will wane because of it. It's not about "living through the bad years" and you know it's not. If you're accepting of a cheap owner and like mediocrity then I guess, more power to you? Some find it boring and a charade to stay cheap.